Screenings of our work were held in Toronto at the Drake Hotel on April 14, 2006, in NYC at Movida on April 18, 2006, and LA in coordination with the release of the RES 10: Creators to Watch in 2006. 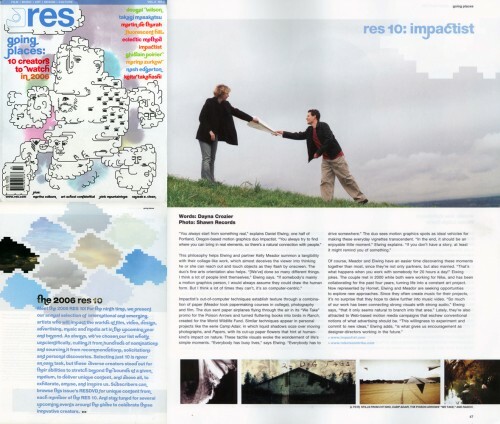 We were selected as one of the RES 10 for 2006, full details in the vol. 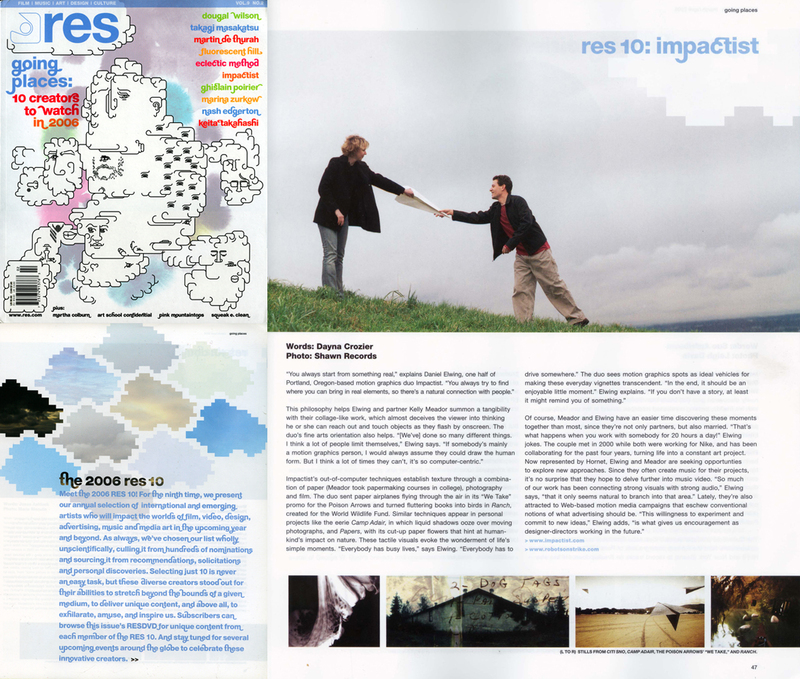 9 no.2 (March/April) issue of RES Magazine. Select above image to view article or download as pdf. “Papers” will be part of the RES monthly screening on August 2, 2005, at the Egyptian Theatre in LA.